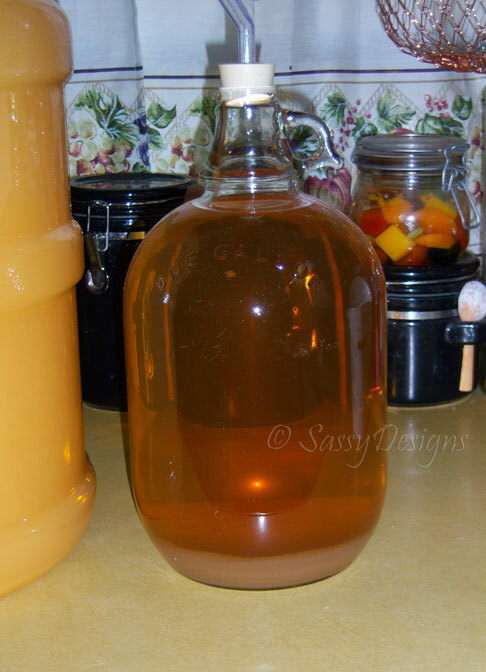 A few weeks ago I posted the recipe and starting process of making Apple Wine from fresh apples. Today you get to seen the ‘next steps’ in that process, finally. 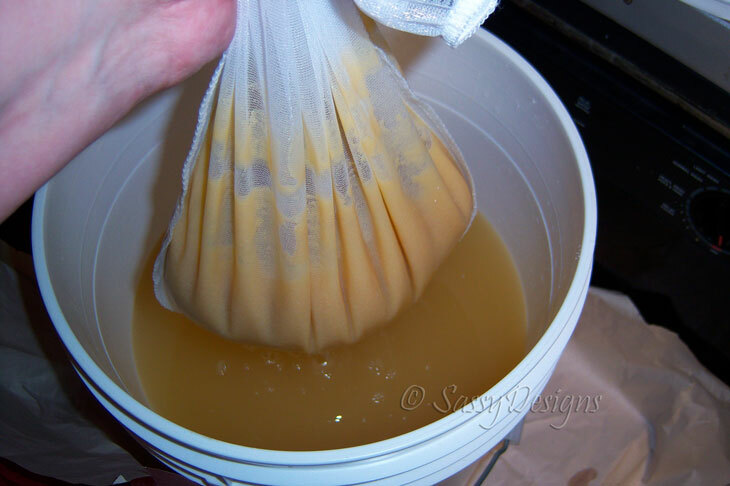 I did that process three times to make sure it was thoroughly strained – the stuff you see in the straining bag had the consistency of fine applesauce. Better to get it out now rather than wait for it to settle to the bottom to leave behind later. That way I can be sure to be left with close to the four or five gallons I want to have in the end. 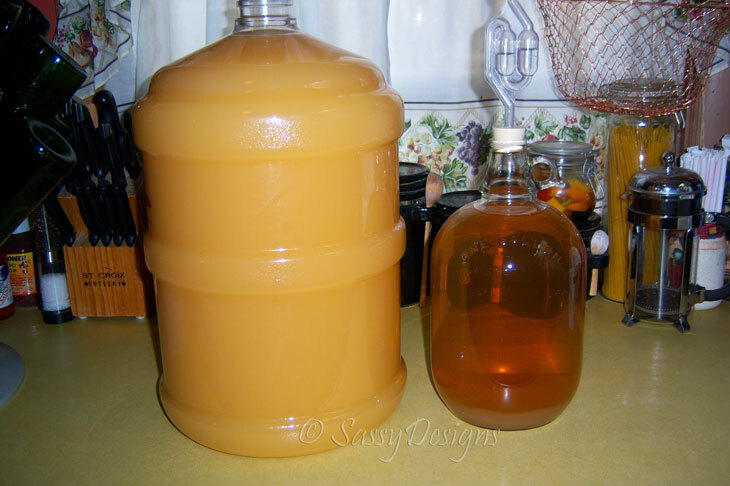 Notice there’s still a little bit of sediment at the bottom of the apple wine on the right – I’ll be racking that batch this week to let it clear a little more before bottling. 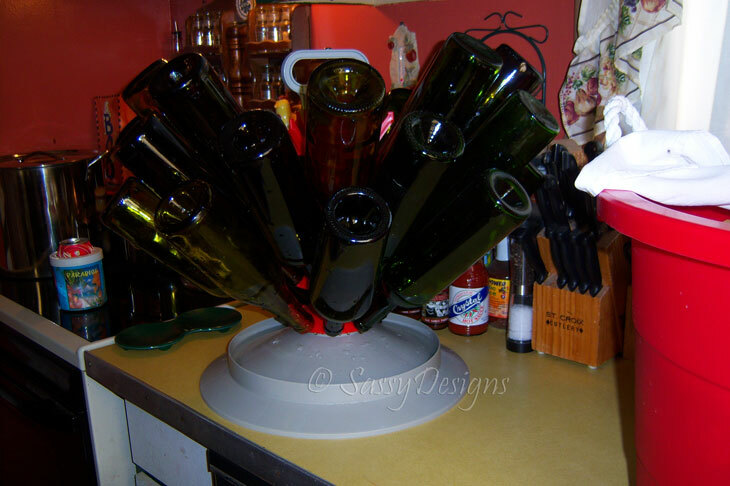 That bottle tree can hold something like 48 wine bottles at one time. Sure has made life easier than trying to precariously perch wine bottles for drying on the dish rack. The Spanish Tempranillo and Wild Blueberry Blush wines are getting close to completion – I’ll probably be updating their status next week. 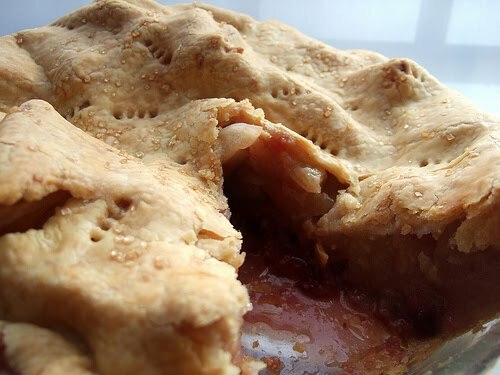 The only recipe left to post is the Apple Cranberry Pie. How appropriate we’re sort of talking about apples today, so it fits in quite well. After us kids moved out of my parents house, we would always converge on their house for Thanksgiving. 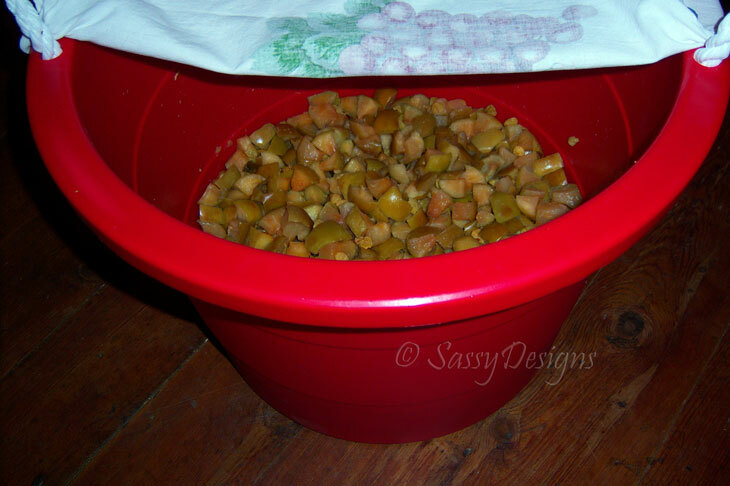 My mom would delegate what each of us should bring – pumpkin and apple pies were usually delegated to me. My dad loves cranberries, so one year I decided to do a twist on the standard old apple pie and make it with cranberries added – and it was a huge hit. 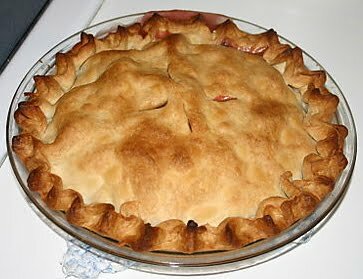 So I’ve made Apple Cranberry Pie for Thanksgiving ever since. In a medium bowl, toss together the sugar, flour and allspice. Sometimes instead of just allspice, I’ll use apple pie spices. 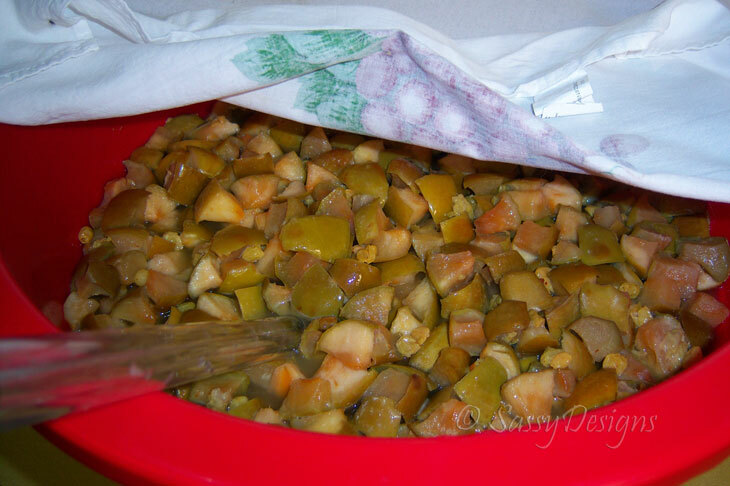 Mix in the apples, cranberries, brandy (or apple cider) and vanilla. Place bottom crust into a 9 inch round pie pan so that it hangs 1 inch over the edge. Pour filling into the crust and cover with top crust. Seal and flute the edges. Cut slits in the top using a small knife or fork. Before baking, cover the edges of the crust with strips of foil to prevent them from over-browning or burning. Remove during the last 15 minutes of baking time to make sure the edges brown. Some recipes say to add the strips of foil during the baking time, but have you ever tried to cover the edges of a pie while it’s hot and steamy? I gave up on that method after too many unfortunate incidents of burned fingers and now do it before baking – the pie crust turns out evenly browned every time. 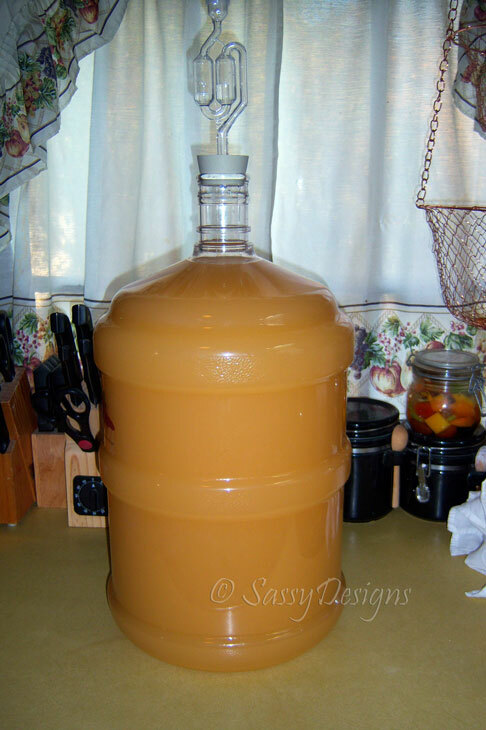 This entry was posted in Homemade Wine, Misc., Recipes, Wine, Wine Making, Winemaking and tagged Apple Wine, Homemade Wine, Recipes, Winemaking by Stacy (the Random Cool Chick). Bookmark the permalink. How great that you can cook up a storm!! 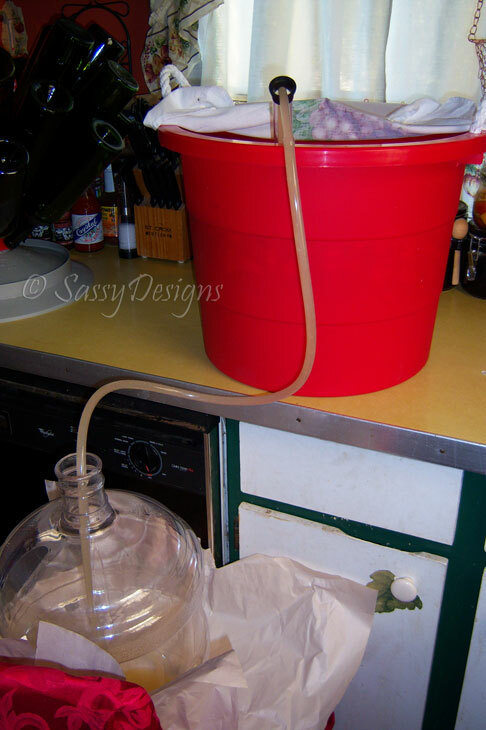 Great wine making tips!! Your pie looks delicious and the crust on it perfect!!! 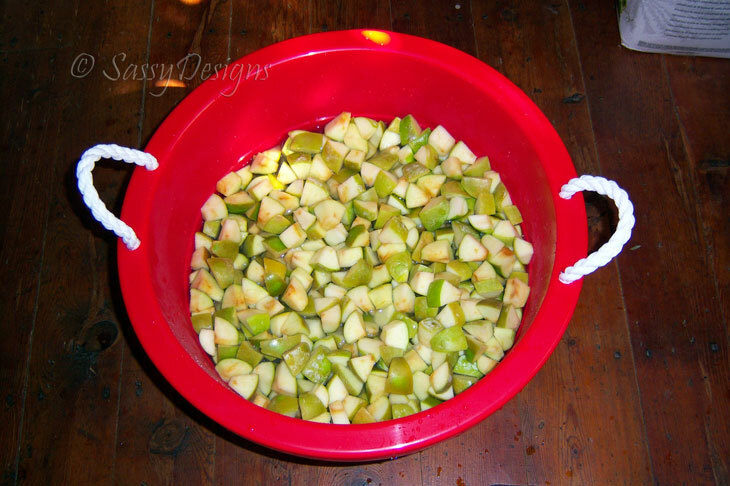 I've got a few baskets of apples… the apple cranberry pie looks lovely, but apple wine seems like a lot of work! 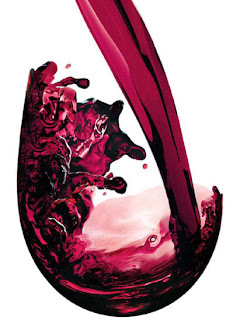 There is certainly a lot of hard work involve in making of wine and you really take care of each step so carefully. This is quite an undertaking. It's not a one time thing either because you do so many varieties. I gotta hand it to you! Holy crap. Let's all meet up and chug that bottle. Oh, for a glass of that wine, and a slice of that pie! I would love to be your neighbor so I can buy wine from you all the time. It all sounds so good. You really work hard, I envy your dedication. Thanks for the pie recipe, it sounds wonderful. 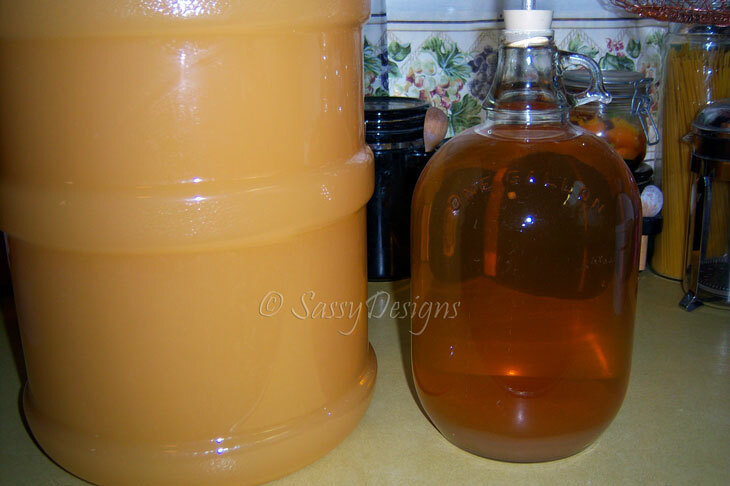 to my knowledge i have never had apple wine…sounds good…almost as good as the pie! yum! Good heavens – you make your own Kahlua too?? I bow in the face of your awesomeness. And the pie looks nummy, too! You are sooooo talented! Yummmmm!!! I'm still stunned by the amount of work that goes into making this wine. Wouldn't it be a good idea to get a store-front or some such to do this? Or are you not at that point yet? And did you say blueberry blush? Now for some reason, that just sounds like a wine I would actually like! Yum! 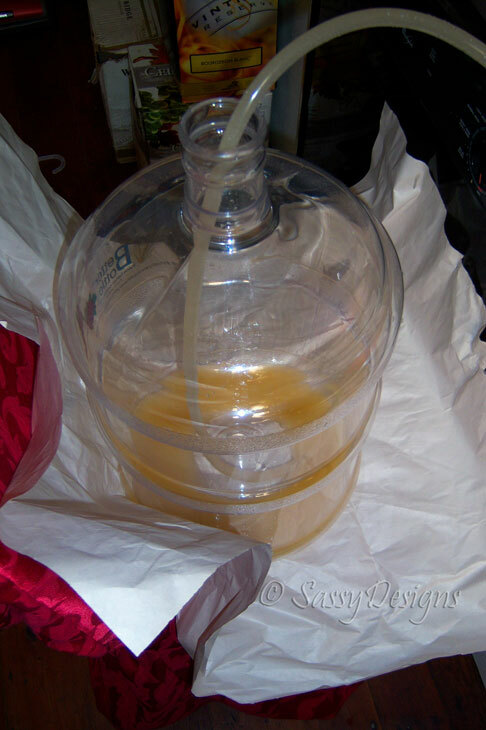 Oh, and how do you sterilize the big carboys? 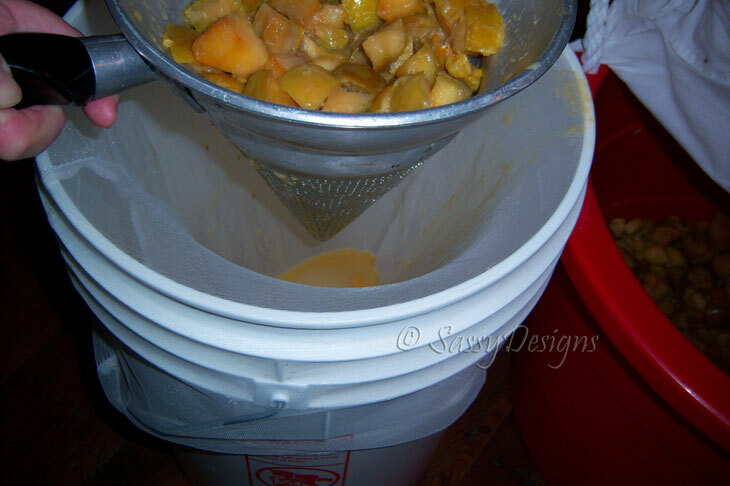 Cool photo essay – I've never actually seen the wine making process. Wow! The wine and the pie both look delicious. Good job! Far too much work for me, but I'd be more than happy to come over and help you eat and drink it. hey this posting is looking yummy… thanks for sharing this with us. Yay! Another wine post! I love seeing the progress of the wines you make. 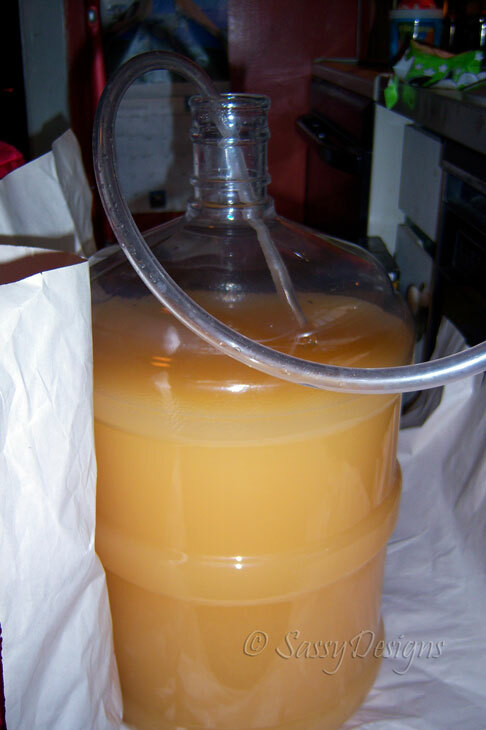 That is so crazy that by the time the wine is done it'll be that clear! Wine making rocks.